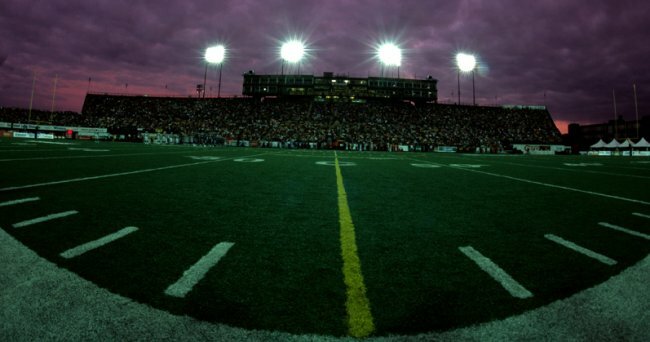 Hamilton, Ontario – Hamilton Tiger-Cats Caretaker Bob Young and Hamilton Mayor Bob Bratina announced today a historic deal to keep the team in Hamilton by building a new stadium on the Civic Stadium neighbourhood in the heart of the city. The deal, which still needs to be ratified by city council, calls for a new stadium to be built on the site of the 1930 British Empire Games and where Hamilton football has been played for more than 60 years. Under the terms of the deal, $70 million will be available from Hostco and a further $45 million from the Hamilton Future Fund. This will create a unique opportunity to revitalize Scott Park, Brian Timmis and the Ivor Wynne district into a premier sports and recreation area for the city of Hamilton and its residents. “Our goal from the beginning has been to ensure the Tiger-Cats will be on sound financial footing the in the future and we believe this deal accomplishes that,” Young said, adding he wanted to thank all of those who have supported the team, especially great partners like Molson Coors Canada, Primus and Tim Hortons as we looked to find the very best stadium solution.